To That Far Green Country. *He spent some time with the SAS, which was one of the first elite special forces units in modern warfare. While it would be fascinating to know exactly what he got up to, none of his actions have been unclassified to date, and the man himself will not elaborate on any details. *Christopher Lee has recorded multiple heavy metal albums, apparently trying to surpass himself with each subsequent musical endeavor. *Tenor Jussi Bjorling—one of the best opera singers in the world—wanted to nurture the young man’s natural talent and invited him to join the opera house permanently. 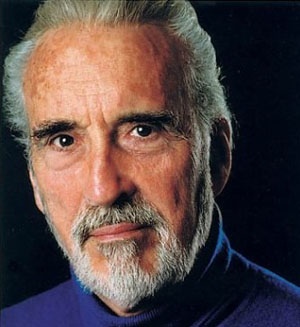 *Christopher Lee is a descendant of Charlemagne himself. His family is quite proud of the fact, still bearing the coat of arms to prove it. Sir Christopher Lee, you now are immortal, on film and in our hearts. Live well in your next great adventure. Thanks for those facts about Christopher Lee. I didn't know any of them. Sad when we lose one of the great ones. There are just some crazy stories about Christopher Lee out there and most all of them are true. That man lived quite a life! It seems we lose too many great ones these days, but this was truly a man who made his mark. I always thought true immortality can only be reached by the mark we leave on the people we leave behind - so Christopher Lee is most certainly immortal.